Individual and Couples Therapy: Our Full fee is $125.00 per one full one hour (60 minute) session. Persons with limited means can inquire about reduced fees. We are in network with Blue Cross Blue Shield PPO. Undergraduate, Graduate, and Doctoral students should inquire about special student rates. Group Rates are $45.00 per session full fee. Persons with limited means can inquire about reduced fees for groups. Undergraduate, Graduate, and Doctoral students should inquire about special student rates for groups. 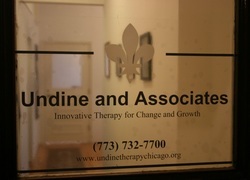 Please call us at 773-732-7700 for pricing of programs, consultation, and workshops. We have worked with schools, professionals, agencies, businesses, and organizations to provide innovative and dynamic experiences tailored to unique organizational needs.